Every day the Natural Products Discovery Group is working towards finding creative solutions that transform the chemistry of nature into products that improve lives. Many of these discoveries begin with a soil sample sent in by a citizen scientist. In 2015, the Natural Products Discovery Group began a partnership with the National Cancer Institute (NCI) to compliment and support the scientific component of the Citizen Science Soil Collection Program. This partnership is providing the NCI with a collection of fungal isolates, which will become a critical core asset of the Institute’s microbial natural products discovery collection. All of the unique fungal isolates that are obtained from the Citizen Science Soil Collection Program will become part of what is designed to become the world’s first open repository of fungi and fungal extracts. This repository will be accessible to researchers across the United States for drug discovery purposes. View a few highlighted discoveries below and check back here for updates! Want to know more? Explore additional Natural Products Discovery Group publications. 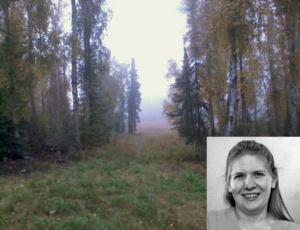 A soil sample sent in from a citizen scientist in Salcha, Alaska has become one of the Natural Products Discovery Group’s most interesting samples to date. A new species of fungus, Tolypocladium sp., was isolated from a sample collected in the participant’s backyard. This particular strain of fungus produced the new compound maximiscin. What is so special about this natural product? 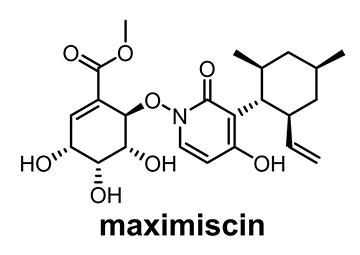 Maximiscin has been found to specifically block the growth of certain types of cancer cells. Specifically, maximiscin shows promise as an inhibitor of certain types of melanoma (a type of skin cancer) and breast cancer cells. You can explore this research further in a paper published in Angewandte Chemie International Edition in 2014 (Crowdsourcing Natural Products Discovery to Access Uncharted Dimensions of Fungal Metabolite Diversity), as well as in follow-up studies published in 2016 in the Journal of Natural Products (Maximiscin Induces DNA Damage, Activates DNA Damage Response Pathways, and Has Selective Cytotoxic Activity against a Subtype of Triple-Negative Breast Cancer). Did you find what you were looking for? If not, be sure to visit our Frequently Asked Questions page, which contains many of the important questions that were sent to us by citizen scientists like yourself.